Do You Qualify For a Refund? What products and services are provided by Cancel By Owner for my Timeshare rights? We are not a resale, rental or title transfer company. What we are is a consumer-based organization offering legitimate fully guaranteed help for a flat fee. 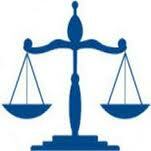 We protect your Timeshare rights. If you believe you have been a victim of Timeshare fraud and misrepresentation, Cancel By Owner will assist you in your Timeshare rights with the cancellation of your Timeshare or Vacation Ownership contract. We help our clients avoid the usual run-around and virtually impossible task that they typically face when trying to deal with the resorts on their own. Whether you just bought a timeshare yesterday, or you are 3 years into your mortgage or promissory note, or if your contract is paid in full, there is no scenario that is beyond our assistance in protecting your Timeshare rights. Timeshare, Vacation Ownership, Vacation Club, it doesn’t matter. We can help get you out…guaranteed. How Long Ago Did You Get Timeshare? Can you help me sell my timeshare instead of deeding it back to the developer? We don’t help you sell or rent your timeshare. There are many fraudulent companies that offer such a service, unfortunately, many consumers are tricked daily by such companies. What we can do is tell you the truth about your situation substantiated by facts and help you get relief by terminating your contract under your Timeshare rights. What is your overall success rate? We have been 100% successful in terminating the contract between our clients and the resort. The resort would rather comply with the termination of the contract than face the scrutiny and investigation of the government agencies that have jurisdiction over them and your Timeshare rights. They would risk losing their brokers or business license. Do you guarantee this success? We guarantee the termination of your contract or you will be reimbursed 100% of any fees paid to us after deducting reasonable administrative costs and you will get that in writing. We want to enforce your Timeshare rights. How long does your process take before final resolution? It takes us about two weeks to prepare your case to be submitted to the resort. The negotiation process typically takes 2 to 6 months before we reach final resolution for our clients, but you can consider yourself free from the moment you retain Cancel By Owner to enforce your Timeshare rights. We don’t fail…guaranteed. What qualifies as fraud or misrepresentation? I don’t know if my Timeshare rights were violated? When consumers protection laws and fraud acts are violated through deceptive and misleading practices at the time of sale, the contract becomes void. Your Timeshare rights protect you. A contract can be canceled by a court because fraud when one person knowingly made a material misrepresentation that the other person reasonably relied on and that disadvantaged the other person. A material misrepresentation is an important untruth under your Timeshare rights. The contract you made may be set aside on the grounds of fraud. Fraud requires an outright lie, or substantial failure to state a material fact about an important part of the contract. Fraud will invalidate a contract. A contract may be set aside because of illegality, duress, undue influence or fraud. If you can allege any of these, the contract will probably be deemed void like there never was a contract. If the timeshare company makes promises at the time of sale that you will benefit financially from owning the timeshare that alone is grounds for voiding the contract. There are many other Timeshare rights that we can talk about and see if they happened to you. Why have you been successful and why can’t I do this myself? As an individual, it is extremely unlikely, if not impossible that you will be able to make any progress with your case. The timeshare companies have staff whose entire job is to confuse you about your Timeshare rights, spin you around, and make it seem impossible to get out of your contract. When you hire a third party, such as Cancel By Owner, you receive instant credibility because of our history. Additionally, it is no longer just one person’s battle against a billion dollar industry. When we get involved in your Timeshare rights they encounter the overwhelming power of thousands of angry consumers all saying the same thing. What kind of support will Cancel By Owner provide? From the moment you retain us, you will have a team of professionals to assist you. Starting with our Client Care Staff, there to answer your questions or concerns, and working through our Documents Department, Resolution Department, and our Legal Department. At Cancel By Owner we shoulder the burden of being the liaison between you and the resort or club. Your involvement is limited to providing us with the information we need to help you with your Timeshare rights. After that, sit back and let us work. We will keep you posted as your case proceeds. Designed by Florida Web Coaching.